It's Hari Raya public holiday yesterday and I decide to take additonal few days break from work to spend time with my family. This morning, I read an interesting offshore & marine article about and decide to share it here for those who may be interested. 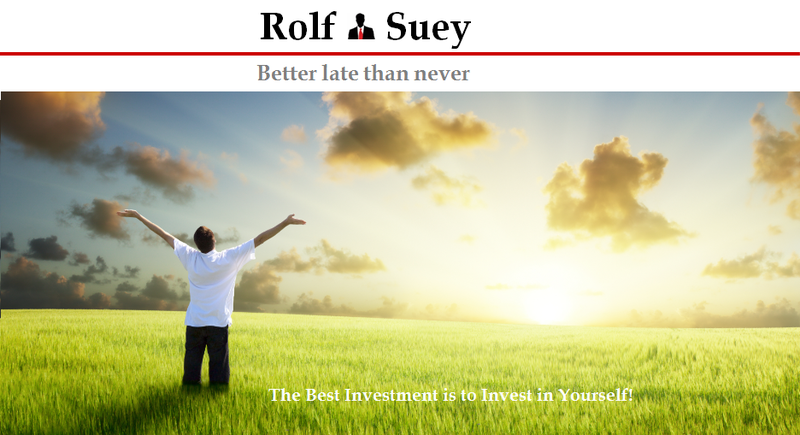 Below please find what I extracted and summarized from Rigzone. Business for Singapore's two largest shipyards has been slow year to date, with the situation exacerbated by intense competition from China. Optimism generated by record deliveries of newbuild jackups by Singapore shipyards in 2013 has faded somewhat amid slow orders and a sustained challenge from lower cost competitors in China so far this year. Jackup utilization rate fell to 81.1 percent in June, compared to 87.3 percent in January, while the level for semisubmersibles and drillships declined to 84.7 percent and 89.3 percent, respectively from 89.9 percent and 91.3 percent in the corresponding period. Still, the current weakness in new rig demand is likely to have an impact only in the near-term as global requirement for new jackups is projected to increase amid an ageing fleet. At present, nearly half, or 216, of these rigs are over 30 years old and “customers [are] actively replacing lower-spec rigs,” Transocean Ltd. said in its June presentation to investors. Industry watchers mostly agreed, with the existing slump in new rig orders seen as “only a temporary slowdown and not a downturn in the sector as commodity prices remain firm and long-term sector fundamentals remain sound,” Lee said. Others believed that orders for new jackups will grow as there is “replacement demand for aged fleet and stricter safety requirements,” Singapore’s DBS Group Research Equity elaborated in a July 14 investor note. Already, higher construction costs and shipyard/equipment provider constraints were cited as factors that discouraged additional investments in new jackups, Ensco plc mentioned in a March 25 company presentation. Below a chart showing the slowing in demand for Keppel and Sembcorp compared to last year. Last November, Viking Offshore & Marine Ltd. partnered Chan Kwan Bian ordered a GustoMSC designed jackup with China Merchant Heavy Industry (CMHI) for $180 million. Singapore-listed KS Energy Ltd.’s indirect subsidiary KS Rig Invest Five Ltd also contracted China’s Shanghai Zhenhua Heavy Industry Co., Ltd. (ZPMC) to build a Friede & Goldman JU-2000E design jackup for $199 million. Keppel FELS received an order from Fecon International Corp. in February to build three KFELS B Class jackups for $650 million or around $216.67 million each. Sembcorp Marine’s subsidiary PPL Shipyard secured a $214.3 million deal in the same month from Marco Polo Drilling (I) Pte Ltd. to construct a PPL Pacific Class 400 design jackup. Despite Singapore yards higher cost, some clients are still willing to pay more. However, “The more orders China wins [in the rig construction market], the more credible they become [to the industry] … certain yards in China [already] command higher prices,” Religare’s Research Director Fernando told Rigzone. Despite strong competition from China, Keppel and Sembcorp Marine managed to secure record rig building contracts last year totaling over $7.88 billion (SGD 10 billion), according to 2014/2015 edition of the Singapore Shiprepairing, Shipbuilding & Offshore Industries Directory (SSSOID). The two major Singapore shipyards will undoubtedly attempt to boost their newbuild rig order books especially after a relatively lackluster performance in the year so far. However, the situation facing Keppel and Sembcorp Marine is currently exacerbated by fairly weak demand for offshore fabrication work, such as ship conversion and platform construction during the same period. 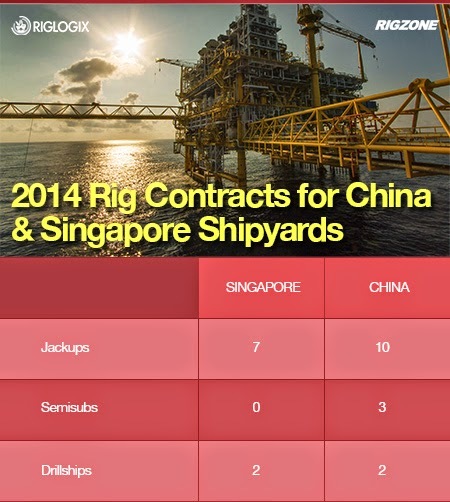 Still there were some notable contracts awarded to Singapore in the non-rig building segment. Keppel O&M secured a $735 million contract to convert an existing liquefied natural gas (LNG) carrier to a floating liquefaction vessel (FLNGV) for Golar LNG Ltd.
Keppel Shipyard also received an order from SOFEC Inc. to fabricate an external turret mooring system for a floating production, storage and offloading (FPSO) vessel that will operate in the Twenboa-Enyenra-Ntomme fields in Ghana. However, Sembcorp Marine did not win any non-rig offshore projects this year unlike in 2013 when the company bagged a $725 million contract from Norway’s Det Norske Olijeselskap (DNO) to build an offshore platform integrated topside for the Ivar Aasen development in the North Sea. Business prospects for the two Singapore shipyards could improve in the second half of this year as national oil companies, unlike IOCs, are expected to maintain high E&P capex, which is estimated at just over 10 percent. “Oil companies still require short- to medium-term production for cash flows, and as such demand for jackups remains strong … Coupled with the ongoing bifurcation towards premium assets, there are still pockets of opportunities for market leaders such as Keppel Corporation and Sembcorp Marine,” OCBC’s Lee said in an investor note early last month. Looking ahead, Singapore’s offshore industry hopes to continue growing the sector, which has expanded steadily in the last three years. The rig building and ship repair/conversion segments each contributed approximately $7.66 billion (SGD 9.72 billion) and $3.73 billion (SGD 4.74 billion) in revenue last year. 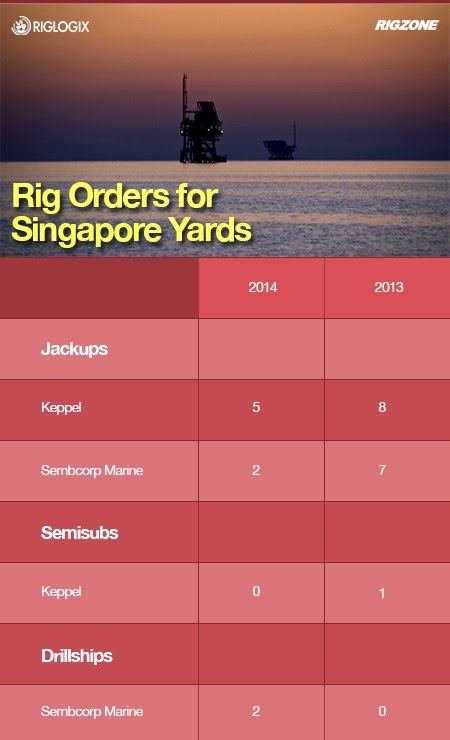 Given that rig building remains a dominant part of Singapore’s offshore sector, the focus has been on improvement to the service offerings. Seen in this context, while “Singapore’s forte is in jackups and semisubmersibles, industry leaders have taken a cognizant view of the steady shift from semisubmersibles to drillship and have embarked on drillship construction,” the SSSOID report highlighted. Keppel FELS has taken the first step with CAN DO – its first ever drillship built on speculation, while Sembcorp Marine’s subsidiary Jurong Shipyard is now constructing two Jurong Espadon III design drillships for Transocean Ltd.
Well brief report you have share some of your images are taken from this right? Why I divested Nam Cheong & Swissco this week? How much do you know about Temasek Holdings?